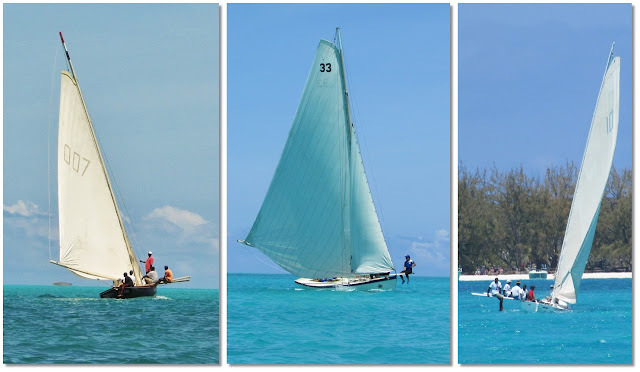 I've known about the traditional Bahamian sloop racing for decades now. 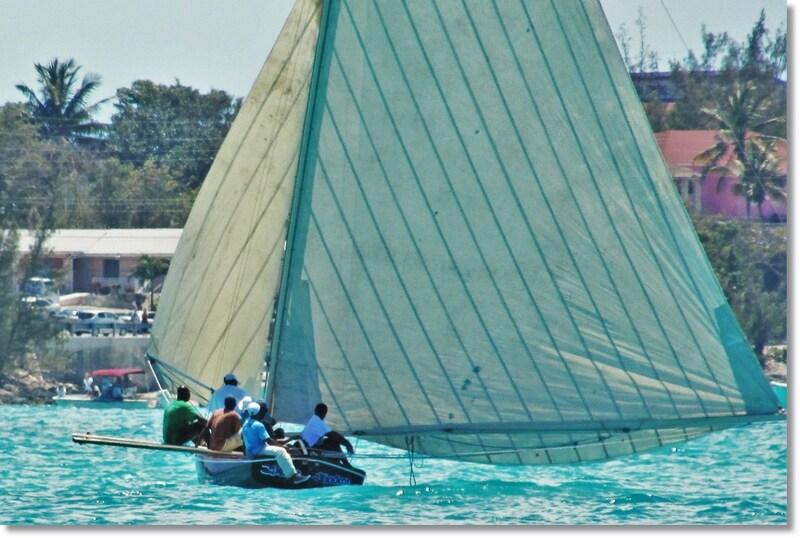 Since building wooden dinghies as a teen with my father, I've wanted to see hand built wooden boats racing. 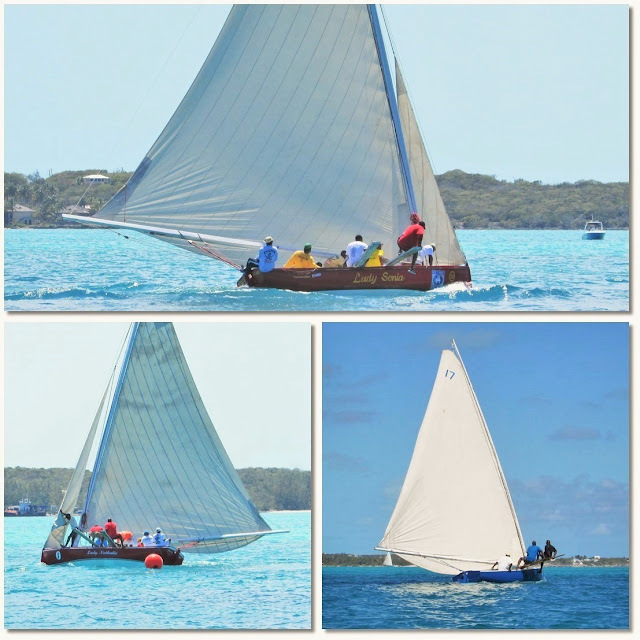 We made it to Georgetown in time to catch the 63rd National Family Island Regatta, the largest Bahamian sloop regatta in the country. Nearly 100 handbuilt wooden boats from all reaches of the islands arrive in Georgetown harbor to take measure of both boat and crew. Bahamian sloops have only recently received a rulebook dictating their shape. 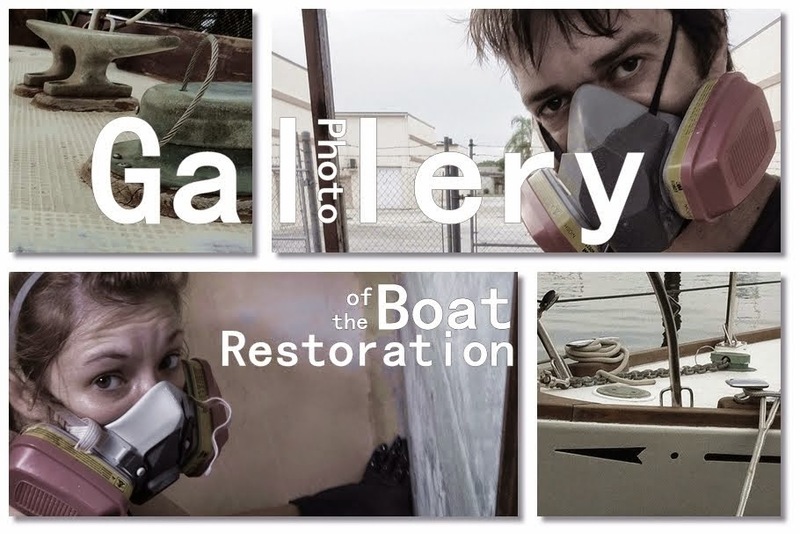 Until the last few years, there was a gentleman's understanding among the builder's and sailors of what makes a Bahamian sloop what it is. The boats are entirely wooden, built of carvel planks over sawn frame members with flat decks and open cockpits. Many of the "sawn frames" are tree roots and branches whose curve already closely matches the hull shape and they only receive final shaping on one edge. 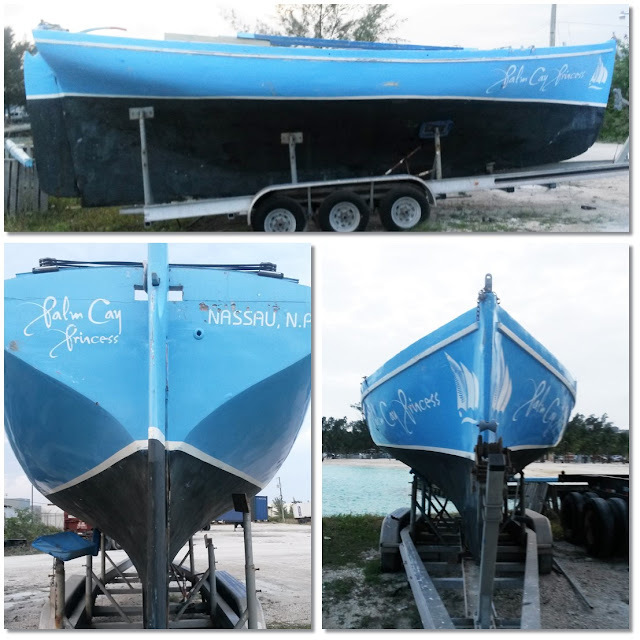 The boats must be owned, designed, built, and crewed by Bahamians, and all repair or modifications must be done by Bahamians, in a Bahamian boatyard. 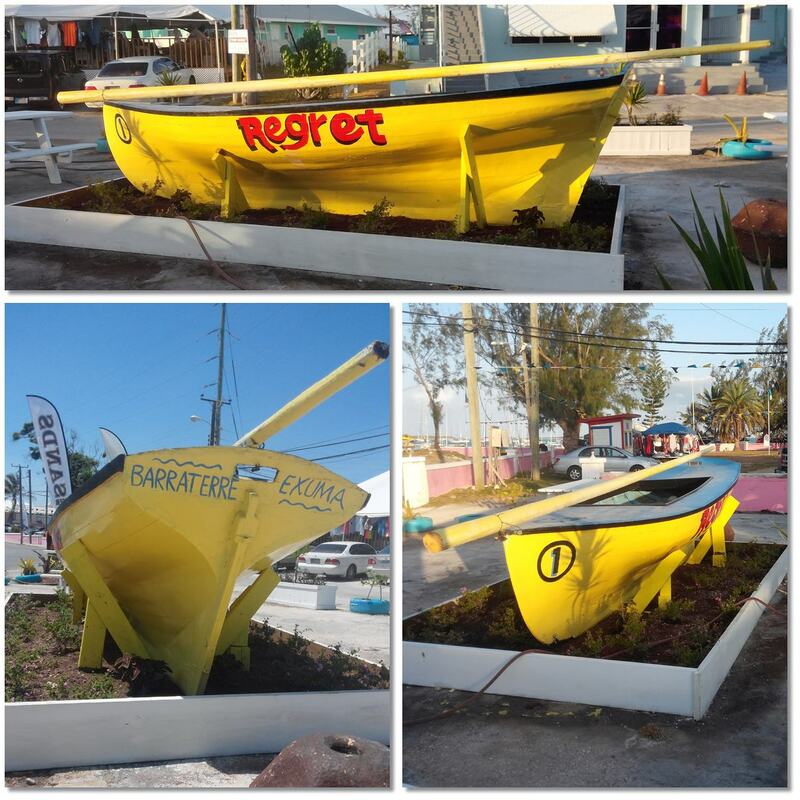 Most boats are built by an experienced Bahamian builder who fairs the frames with hand tools by eye to his desired shape while they are upright on the keel backbone. Then the frame edges are measured so plank tapers can be calculated and laid out on the planks. 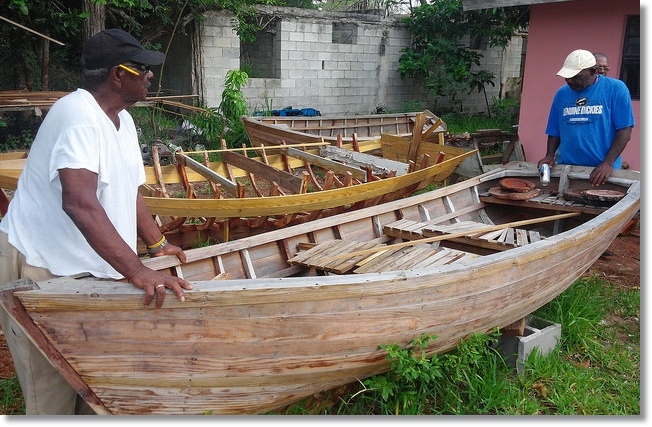 Two years ago I blogged about my visit to Andros, I met with Bullah Murphy, a boatbuilder who showed me the building method hands on. 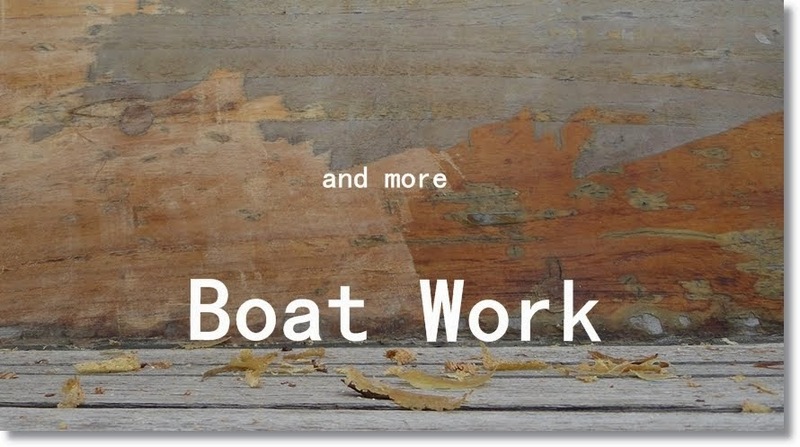 Their shape is dictated by an understanding that the boat should be relatively easily planked, and will be built upright on a single keel member. 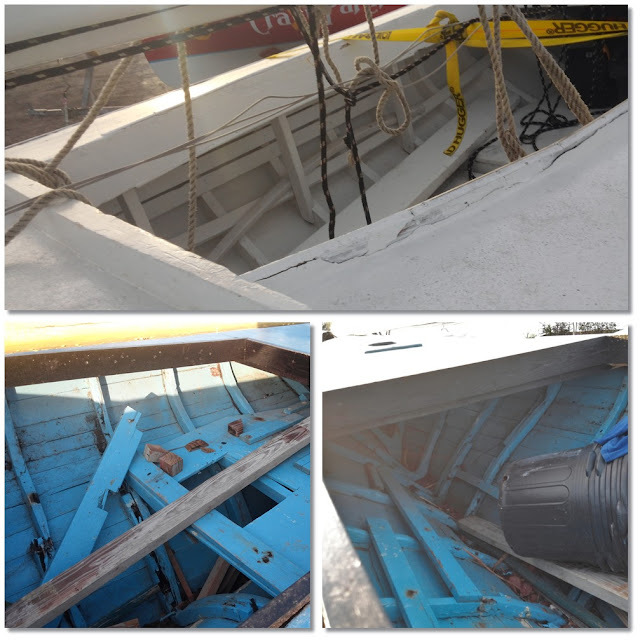 Thus they have a full length shallow keel with a deep forefoot, wineglass-shaped transom and cross sections, slight rake in the stem and stern, and a transom hung rudder. 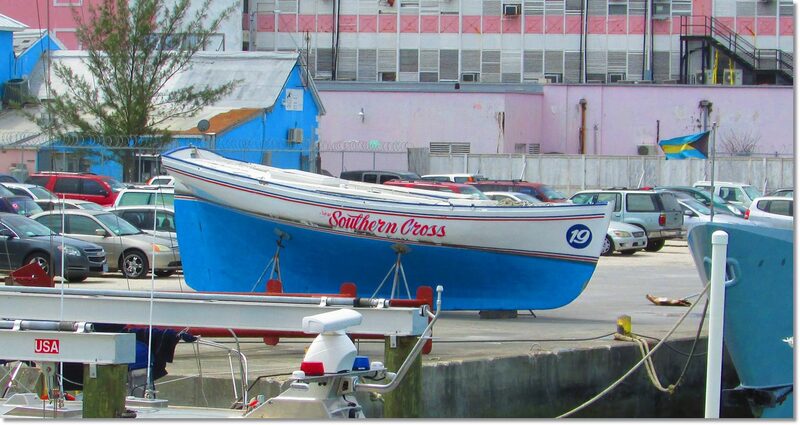 Southern Cross is an A Class sloop that we saw being prepared last month on the government docks in Nassau. This is Georgetown's city park decoration. A highly developed hull for a C Class cat-rigged boat. At only 15 feet long, this boat really shows the hull shape commitment even in the smaller boat classes. Sails cannot be synthetic. They are to be made of Egyptian cotton and the mainsail must have a large curved headboard. There are no winches and no camcleats. All spars must be wooden, and there are no spreaders allowed on the masts, no luff tension devices (vangs and cunninghams) and no wire luffs, however sailtrack has replaced mast lacing on the luff of the mainsail. Bowsprits and spinnakers are not allowed. 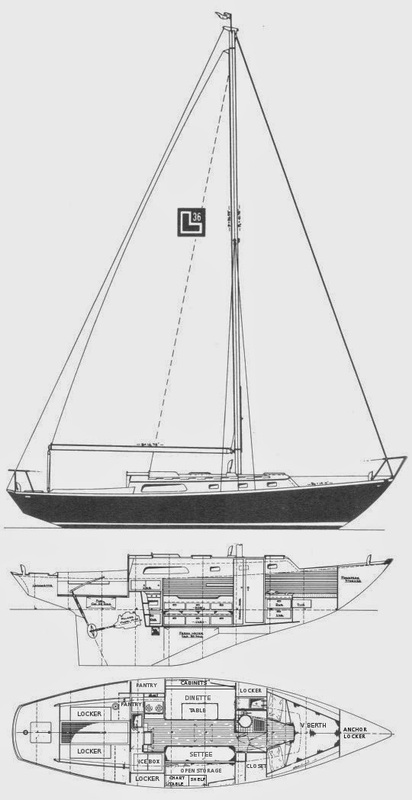 Those were the few written rules about the rig, but the obvious understanding is that the monstrous mainsail will be set on an incredibly long mast stepped in the first third of the hull and will be loose footed, with a pronounced dropping overlap below an obscenely long boom. 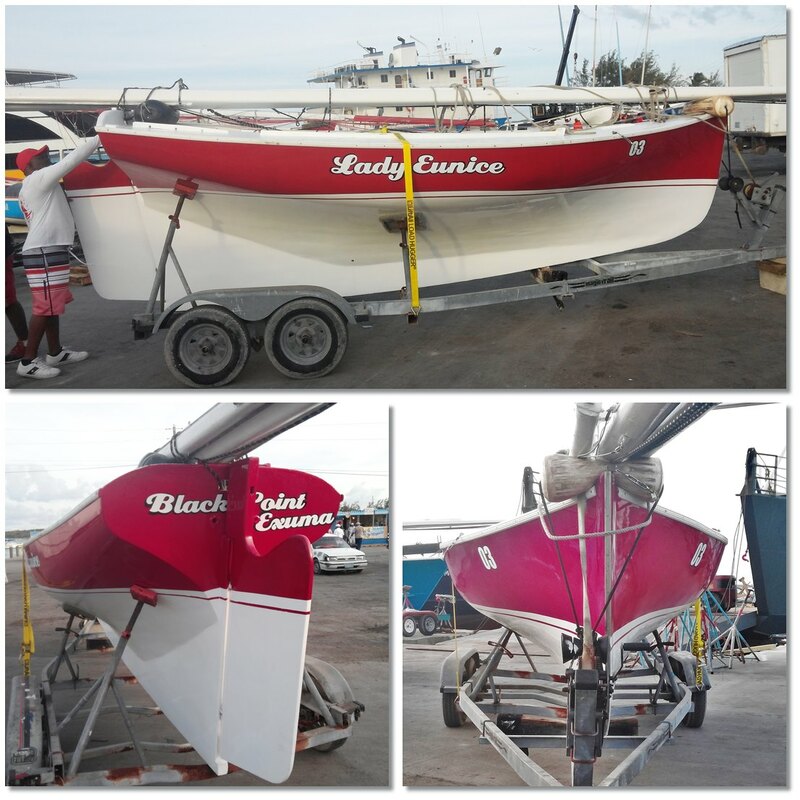 The boom is tacked to the base of the mast and measures 120% or more longer than the entire boat. 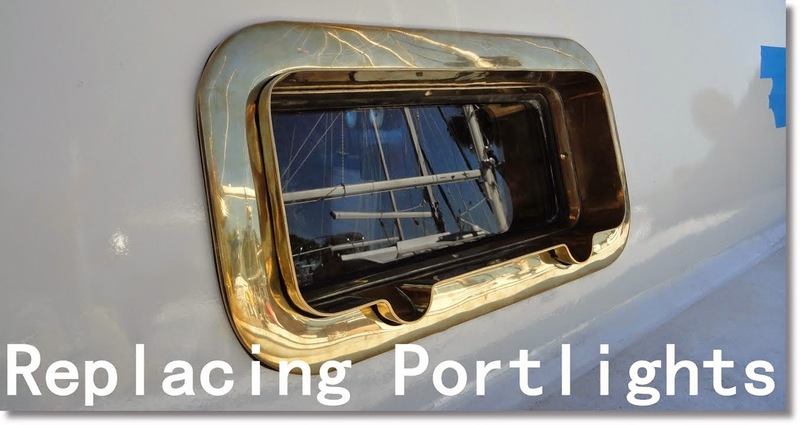 When tacked to the mast, the boom extends beyond the transom by almost another boat length. Head sails are only seen in A and B class. 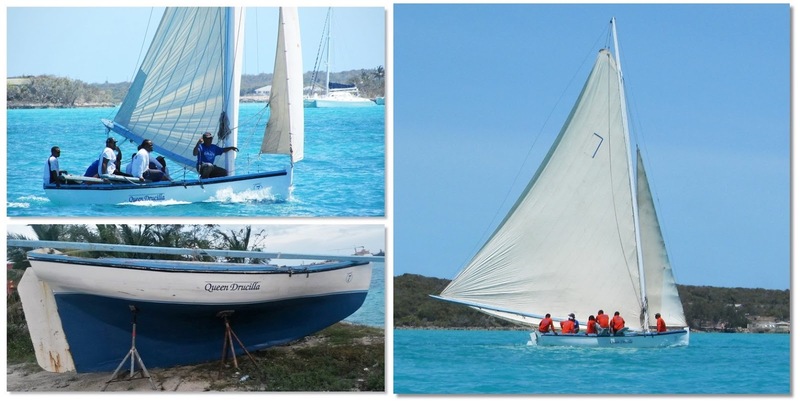 C, D and E are considered “dinghy” classes and are cat-rigged, with just the mainsail. The A and B class sloop rigs feature a small 3/4 height overlapping jibs tacked to the stem that demand no running backstays. 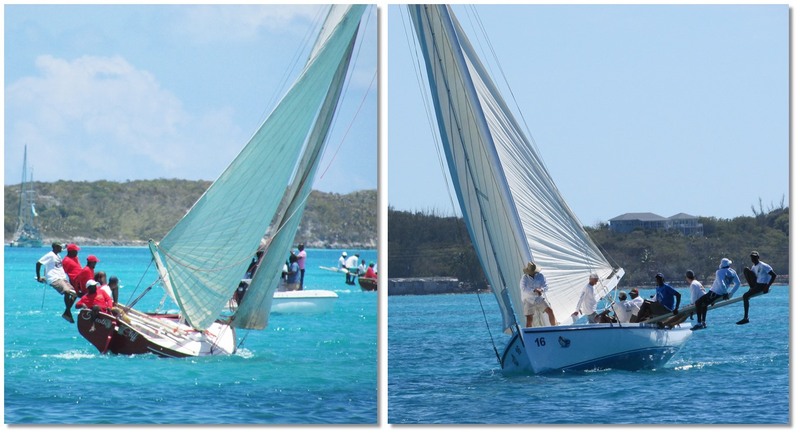 A and B boats carry a small pole for rigging the jib wing-and wing when running downwind. Total sail area is not mentioned, but seemed relatively uniform, probably based on the experience of maximum sail area that can be carried with a given number of sailors out on the pryboards. Pryboards: one of the most unique features of Bahamian Sloops. It seems nearly impossible to fly such massive sail area on so small a hull, but here is how they do it: 90% water ballast. At eight pounds per gallon, water makes somewhat mediocre ballast, but when a waterbag can move itself about with the remaining 10%, it becomes active ballast, something that modern carbon fiber racing monohulls have only recently been achieving with tilting bulb keels and active side tanks to alter righting moment. 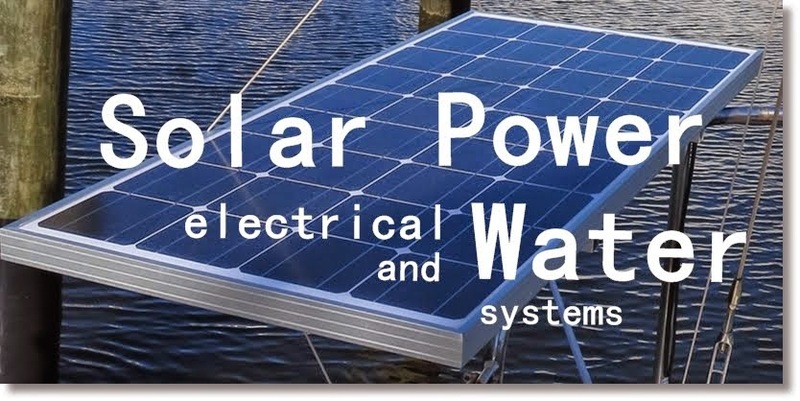 Get that ballast out of the boat and even out over the water, and you have the most modern high performance active ballast system known to man, truly this is state of the art: Heavy men sitting on planks. According to the rules, A, B, C and D class boats are allowed pryboards; E class just wishes they had pry boards. Not much else is said about it, except that almost the entire remainder of this rulebook is dedicated to describing protocol for boats retrieving crew members from the water during racing... such coverage bias is probably needed when in one sentence, you set the crew flying on unlimited planks. My favorite part of Bahamian sloop racing is the start. In a strong nod to their working boat heritage the boats start lined up at anchor. 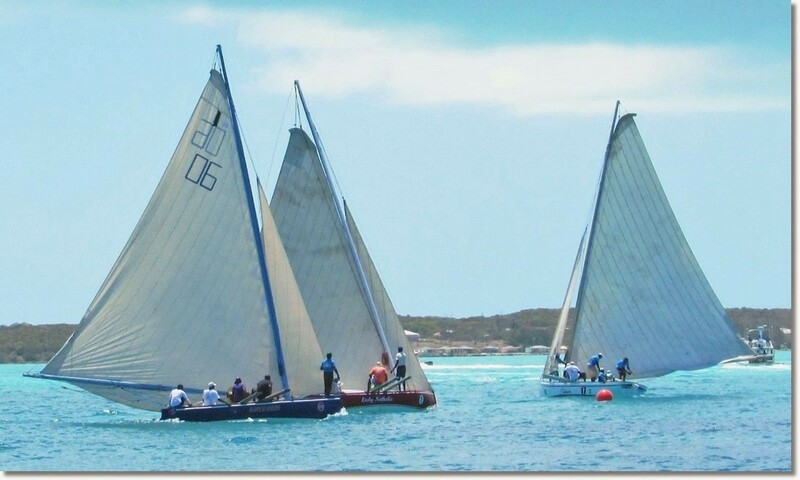 The first leg is always upwind so that the boats can drop anchor 50 feet or so in front of the starting line and fall back on their anchor to get their bows on the startline for the race. At the cannon, crews weigh anchor as fast as possible while simultaneously hoisting the mainsail. 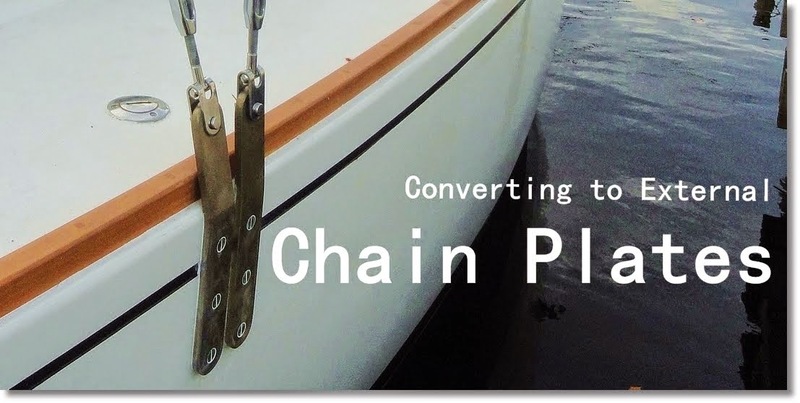 All boats must start on the port tack except the lead boat who can start on either port or starboard. I prefer the Bahamian style start, with a rush of crew hauling rope at the gun, rather than international sail competitions where there is five minutes of intense tactical close sailing and jockeying for position behind the line in preparation for the start. Some hardy crews in the middle of the field can haul anchor faster and get the holeshot to the port tack in front of the other boats.